7 Kids and Us: Live Clean Products for the Entire Family! 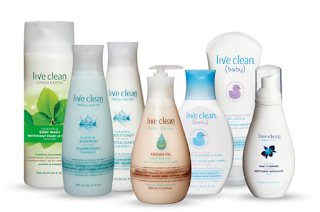 Live Clean Products for the Entire Family! Live Free, which is available at Target, Walgreens, and Whole Foods, has three distinct collections: The Fresh Water Collection, The Argan Oil Collection, and the Coconut Milk Collection. Each of these collections contains a shampoo, conditioner, body wash, and hand soap.